COMP Cams Xtreme Turbo Hydraulic Flat Tappet Camshaft Small Block Chevy 262-400 1955-98 Lift: .447"/.444"
Comp Cams Extreme Turbo Hydraulic Flat Tappet Camshafts are perfect for use with a turbo system. Each camshaft has a rated boost for that specific design. 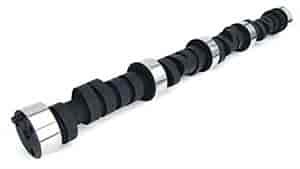 Hydraulic flat tappet camshafts are recommended for mild street performance to mild race. Does COMP Cams 12-252-4 fit your vehicle?